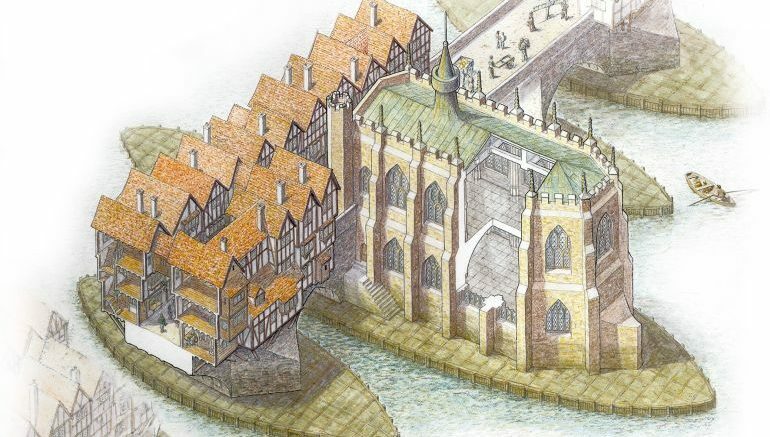 Reconstruction of old London Bridge; pencil drawing by Paul Stroud. The city of London in many ways mirrors the population trend of the human civilization, especially since the medieval times. For example, in 1100 AD, London had a population of a paltry (by today’s standards) 18,000 people, which rose to 100,000 by the 14th century. The last phase of the Tudor era (circa early 17th century) saw the population rise up to around 225,000, while it possibly crossed 300,000 by the time of the Great Plague and the subsequent Great Fire of London in 1665-1666 AD. Our London has had a lot of love (and disease) poured into it, and whilst we’d love for everyone to have a stroll in its unsanitary streets, it was created primarily as an accurate, immersive visualization rather than a durable game experience. Now the Great Fire of London was particularly destructive when it came to various buildings and landmarks, with some estimates alluding to how the catastrophe possibly destroyed 60 percent of the city, including 13,000 residences, 87 parish churches, 44 livery company halls, Old St Paul’s Cathedral, and even the Royal Exchange. However, in contrast to the massive structural damage, there were very few lives lost during the incident, which figures of possibly below 50 (or even only 16 in some estimates). But this baleful scope of fatalities was taken up by the Great Plague of the preceding year (1665 AD) which caused over 50,000-60,000 deaths in London alone, thus accounting for one-fifth of the city’s total population. On Sunday the 2nd of September 1666, the Great Fire of London began reducing most of the capital to ashes. Among the devastation and the losses were many maps of the city itself. 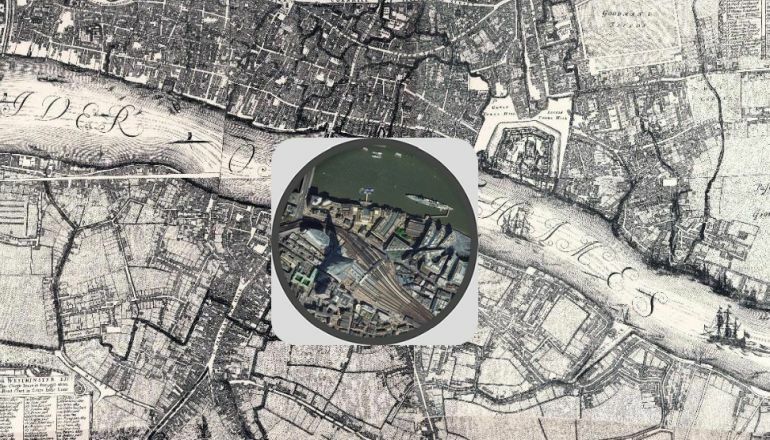 The Morgan Map of 1682 was the first to show the whole of the City of London after the fire. Produced by William Morgan and his dedicated team of Surveyors and Cartographers it took 6 years to produce, and displayed a brighter perspective on city life for a population still mourning their loved ones, possessions, and homes. But how much of this symbolized vision of a hoped-for ideal city remains today? What now lies on the lush green fields to the south of the river Thames? And how have the river’s banks been eaten into by the insatiable appetite of urban development? Move the spyglass to find out, and remember to zoom-in to fully interrogate finer details! Check out the London Time Machine here.